How abundant is shale gas? Shale is the most common sedimentary rock, found in rock formations worldwide. 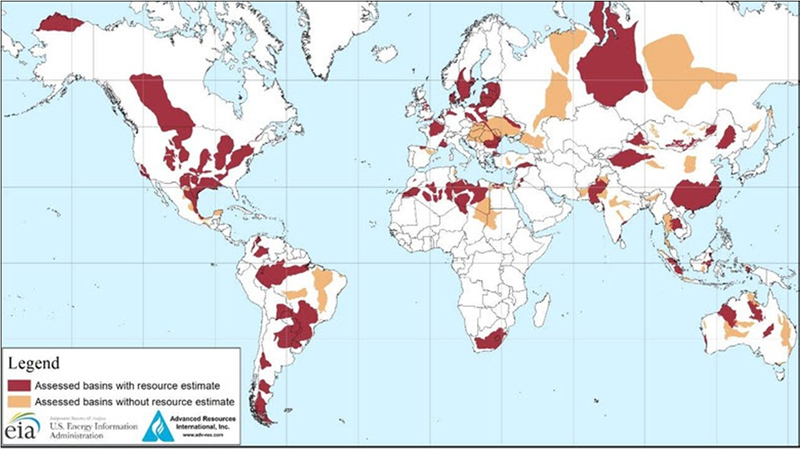 Further exploration would likely lead to the discovery of prospective shale gas and other unconventional hydrocarbon reservoirs in most parts of the world. Map of basins with assessed shale oil and shale gas formations, as of May 2013. Source: United States basins from EIA and US Geological Survey (USGS); other basins from Advanced Resources International (ARI) based on data from various published studies.